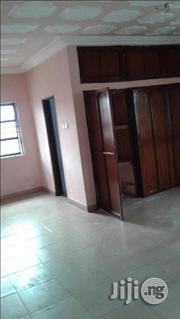 It is located around Agip, Port Harcourt. It has a large sitting room and a massive master's bedroom. Good road.